I did my final performance of “Riverman!” which was written by Tom Hook. 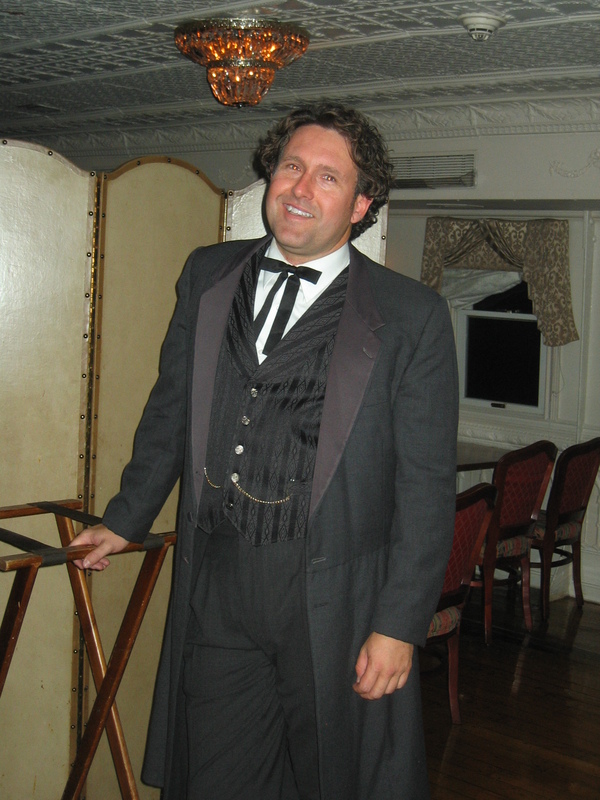 The show takes a fictional character through several major events in steamboat history. It is a multimedia show with a PowerPoint presentation and accompanying musical tracks. 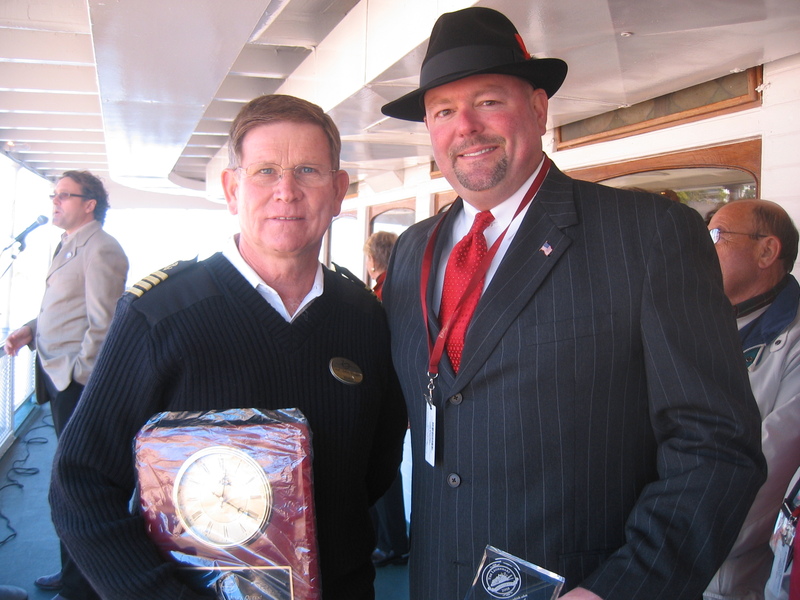 It is very touching and giving my last performance on the Delta Queen was very emotional. It was a great night. Looking out at the wicket dam 53 and the wicket boat from the lock chamber. With the river low, the wicket dams were up for dam 52 and 53. As we locked through, I was struck by the thought that here was an 81-year-old steamboat passing through a lock and dam almost 80 years old. 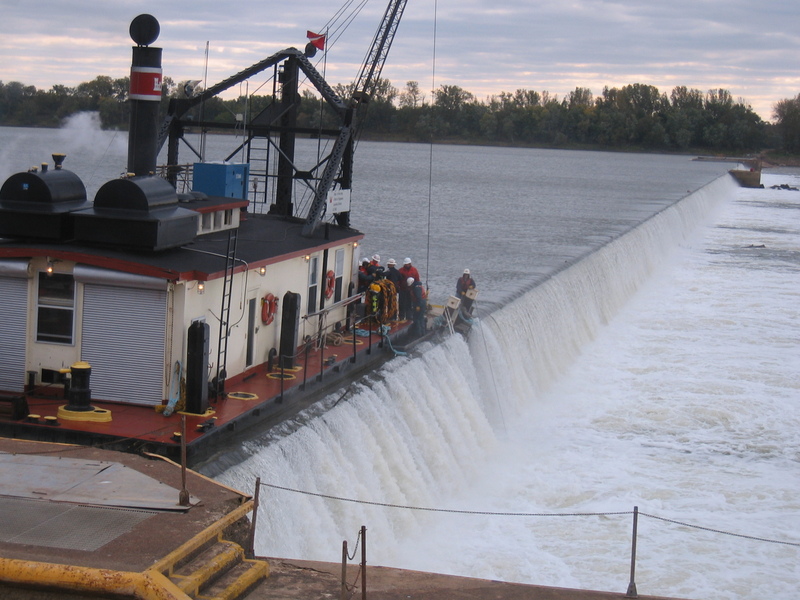 These wicket dams are made up of wooden planks that can be raised when the water is low or folded down onto the bottom of the river when the water is high, eliminating the need to lock through. Pretty cool design. And they’ve been working here since 1929. 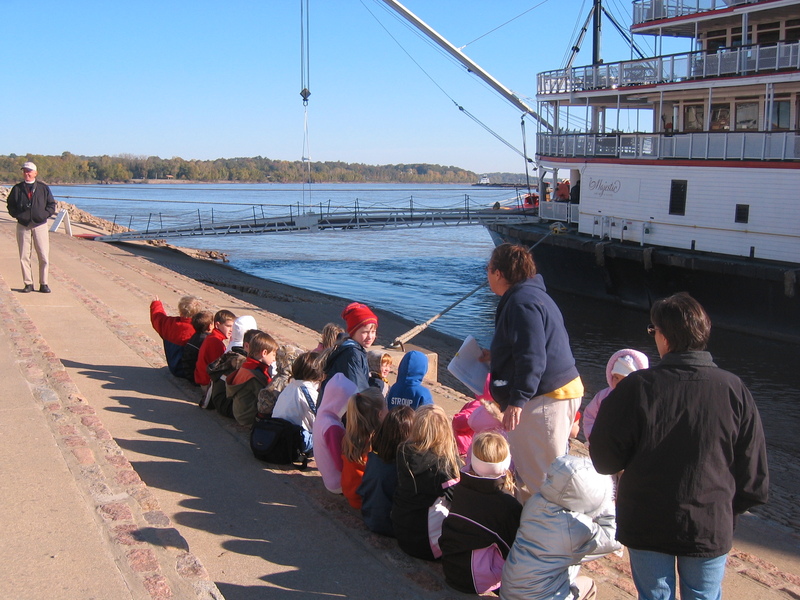 A lock and dam and a steamboat, supposedly outdated, but both still operating effectively. 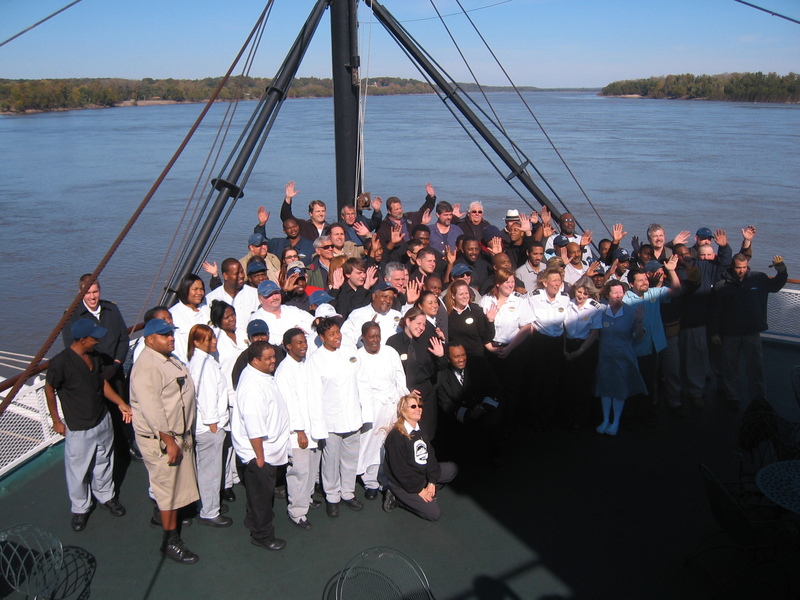 Paducah Ambassadors bid farewell to the Delta Queen. 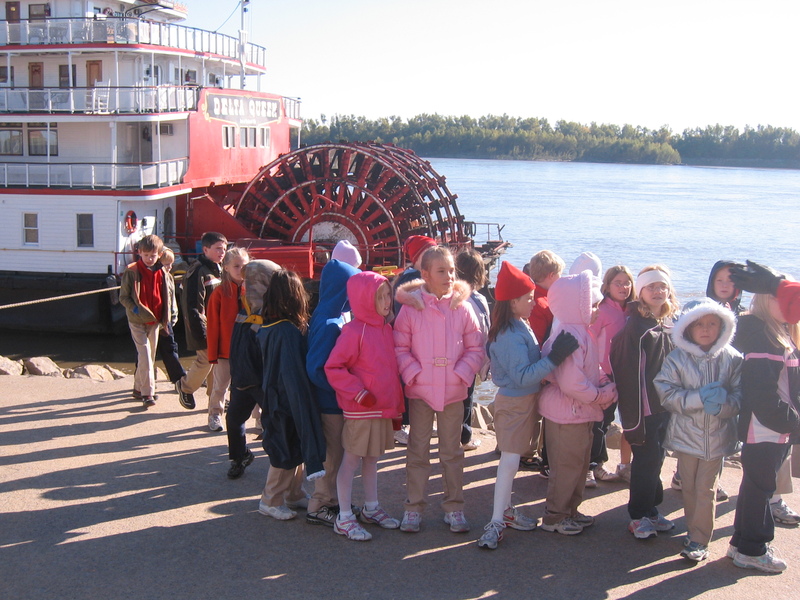 We docked in Paducah, KY for a cool, morning stop. Some passengers headed off on shore tours, but there are so many repeat passengers that most just stroll in to town to shop or lounge around the boat, savoring the ambiance. We slipped away with a few of the entertainers to our favorite coffee shop, Etcetera out on 6th Street. They have good, hot coffee and fast internet access, both of which are coveted treasures to steamboat employees. A nice local lunch and back the boat for our 1pm departure. 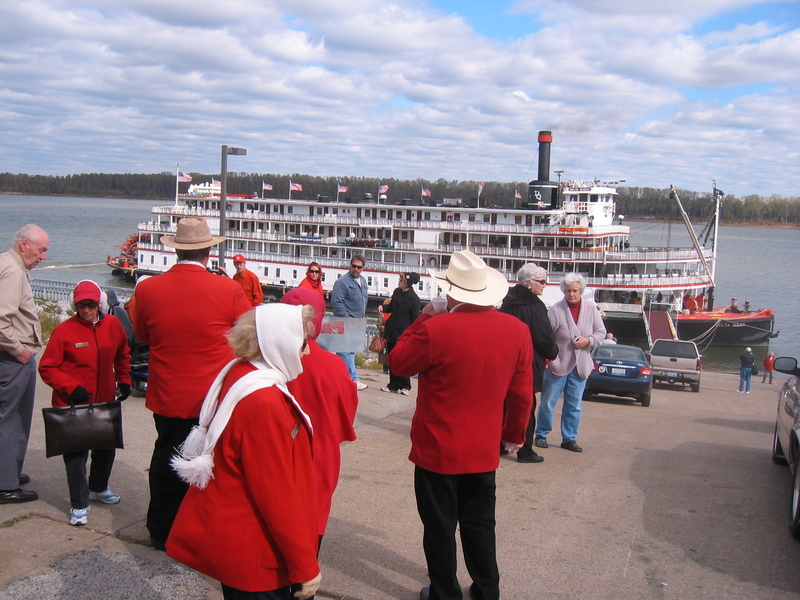 A great crowd gathered to wave farewell, including the wonderful Paducah Ambassadors (often known as the Red Coats). For years, these incredible volunteers have welcomed our guests with information, maps and warm hospitality. 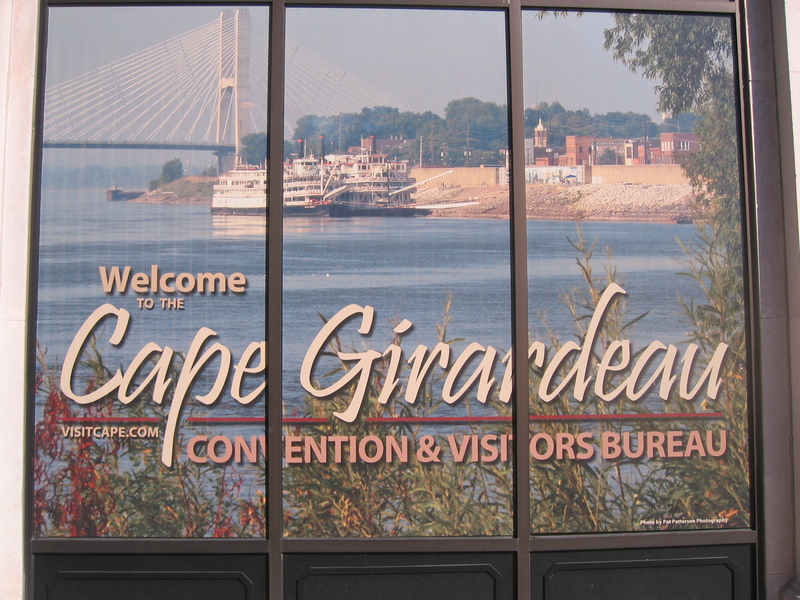 We will miss you Paducah! 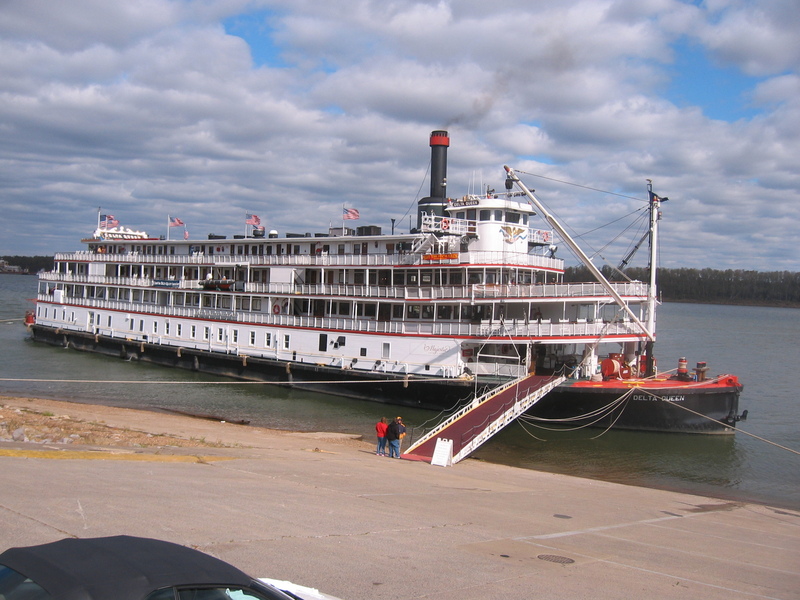 The Delta Queen prepares to depart Paducah, KY.